Our aussie-style brim hat is the ultimate choice when you need to "bring your own shade". 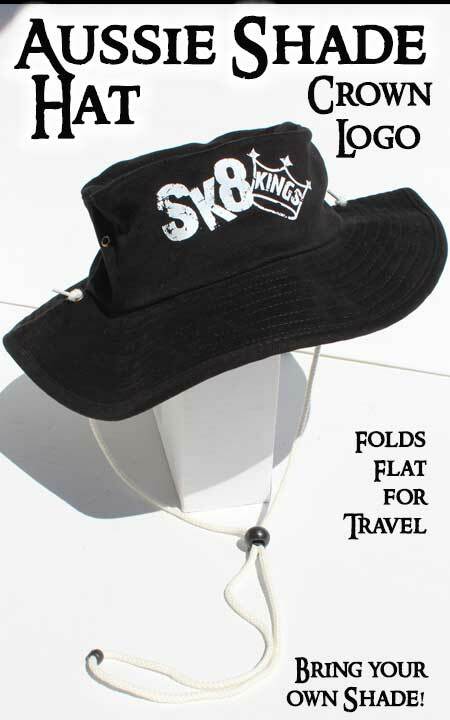 Made of soft comfy cotton -- that folds up flat to pack for easy travel -- this hat features a flexible all-around brim and adjustable drawstring leash. Color & Size Choices: available black hat with white logo. Choose from Med or Large size hat. Screened with our Crown Logo as pictured.